If it's time to upgrade your smartphone, you're in luck, because Samsung just introduced the latest smartphone in its Galaxy lineup, the Galaxy Note7. This phone is definitely in "phablet" territory with a 5.7-inch screen, and competes with other super-sized flagship phones like the Google Nexus 6P and the slightly smaller iPhone 6s. But beyond its larger size, the Note7's specs are very similar to Samsung's Galaxy S7 Edge and even the lower model Galaxy S7. All three are dust and water resistant with an IP68 rating—which means the Galaxy S7 line can be immersed in water up to 1.5 meters for up to a half hour. While we wouldn't recommend going diving with it, it should be safe to take snorkeling or wading in the pool. Each of the Galaxy S7 phones has a crisp Super AMOLED Quad HD screen (though the Note7 has the largest screen of the trio), with the Note7 and the Edge both sporting curved screens. The Note7 and Edge even use the same Qualcomm Snapdragon 820 processor. So with so many similarities, just where does the Galaxy Note7 stand out? It's in the extras. The Note line has always included an S Pen stylus, allowing you to take notes or doodle right from your smartphone. And if you're interested in doing either, the Note7 is the best smartphone you can get. 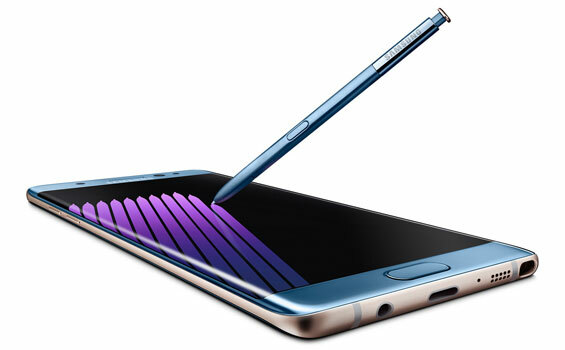 While you can use a stylus with any phone, the Note7's S Pen is an active stylus, which means it has more features than a standard stylus that just mimics your finger on the screen. The latest S Pen supports 4,096 points of pressure—twice what was supported by last generation's Note 5—which lets it know when you're gently tapping the screen or making furious pen strokes. It makes a huge difference when you're drawing, but it's also good for notetaking. The S Pen's tip is about the size of a ballpoint pen, and combined with the high pressure sensitivity, using the Note7 feels very much like writing on paper. That's a feature much-touted on the iPad Pro, but you won't find it on smartphone scale anywhere but the Samsung Note series. An all new S Notes app lets you keep notes, drawings and doodles all in one place, where you can organize and search them. You can even scribble notes on the lock screen that you'll find later in your notes app. How easy is that? Beyond note taking, the S Pen is an easy way to access special features. A tap—or hover—of the pen lets you quickly swap between apps, magnify the screen, instantly translate foreign language text, and even make your own GIFs. They're all nice features that you won't find on any other smartphone stylus. Another feature you won't find on other smartphones is an iris scanner, which scans your eyes to unlock your phone. Though it's more secure than using a passcode or your fingerprint, technology is still a little finicky. There's a good chance you'll find the fingerprint scanner to be faster. But is the Note7 a must-buy smartphone? If you're interested in its slick stylus features, the Note7 is the best game in town—and Samsung's latest iteration of the Note is certainly the best yet. However, this cutting edge phone has a cutting edge price—you'll pay $849 or more (depending on your carrier), which puts it in line with Apple's pricey iPhone 6S Plus. If your heart isn't set on a Samsung phone, it may be worth waiting to see what Apple has in store this fall, as we're likely to see the iPhone 7 Plus arrive in the same price range. If you won't use the S Pen, the 5,5-inch Galaxy S7 Edge is a very similar phone and retails for $789 (or $769 on Amazon). That's still a steep price, but it's a very good phone that, S Pen aside, is just a slight step down from the Note7. The Galaxy Note7 is available now from AT&T, Sprint, T-Mobile, U.S. Cellular and Verizon Wireless, or you can pick it up at Best Buy, Target, Walmart or direct from Samsung. The Note7 isn't the only new tech from Samsung: the company also revealed some new—and some updated—mobile accessories. 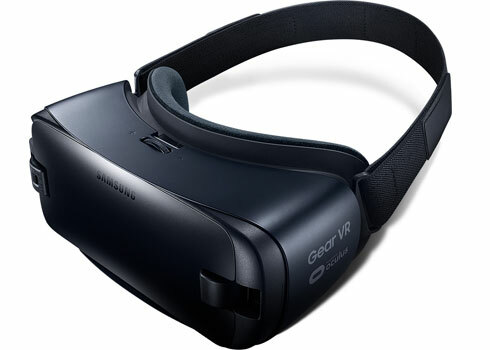 At the top of our to-buy list is the Gear VR, a virtual reality headset that works with Samsung phones. The latest version of the Gear VR is designed for the larger Note7 smartphone, but still works with Galaxy S7, S6 and Note 5 models. It's lighter than the previous model, with cushier padding, which makes it more comfortable to wear for long periods of time (though, be warned it's a battery drain on your phone). It plays VR video as well as Oculus VR games and, at $99, it's a budget-friendly way to dive into VR if you already have a Galaxy device to support it. 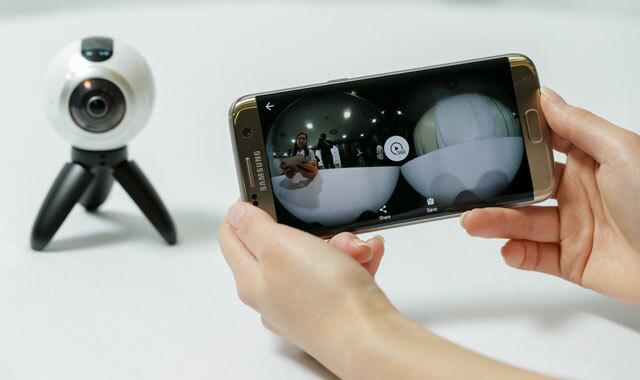 If you're interested in creating your own VR content, Samsung has something for that, too, with the all-new Gear 360. This high resolution (3840 X 1920, so not quite 4K) camera captures 360-degree images and videos using its two fisheye lenses. The $349 camera may sound pricey, but it's in the price range of other 360 cameras on the market—if you're interested in recording your own VR, the easy-to-use Gear 360 isn't a bad bet. Whatever you create, you can share it directly to your social networks or through Samsung VR. For fitness and music buffs, Samsung's offering two new headphone styles: the completely wireless Gear IconX and the Level Active. Both sets of earbuds link to your phone wirelessly via Bluetooth, but the IconX is more of a stand-alone fitness accessory. Gear IconX are a pair of completely wireless earbuds. These chunky earbuds feature touch controls and can hold up to 1,000 songs as well as track your speed, distance, pace and heart rate while exercising. This makes them ideal to wear jogging even when you leave your phone at home, but they also sync with your smartphone's Samsung S Health app to keep up with your fitness stats. But as with most wireless earbuds—especially those sporting great features like the IconX—is battery life. 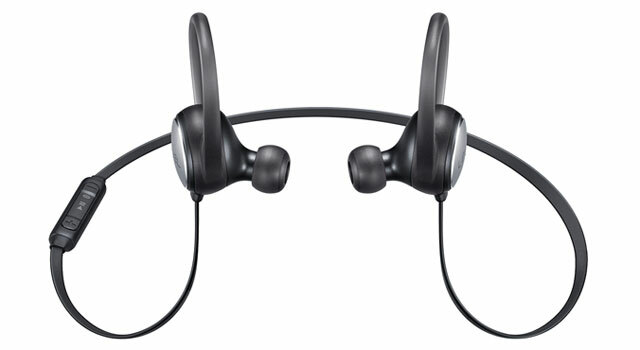 You can expect this headset to last around three hours before needing a charge. That should be plenty to cover your daily workout, but they aren't for all-day music listening. Comparably, the Level Active earbuds—which feature a loop that hooks over your ear to keep them firmly in place—are more of a smartphone accessory. These lightweight earbuds are designed to stay firmly in place even during the most intense activities, plus they're sweat and water resistant. They aren’t designed to swim in, but they should handle most other fitness routines. While these earbuds don't track fitness data themselves, they sync with your phone, which you can control with a remote built into the cord. That means this headset has access to S Health data, which lets it list off your fitness stats, tell you the current time, activate a timer, control music and answer calls. If you've been looking for a solid pair of sports headphones that work with your Samsung device and S Health, Level Active—at $100 less than the Gear IconX—may be the right choice. 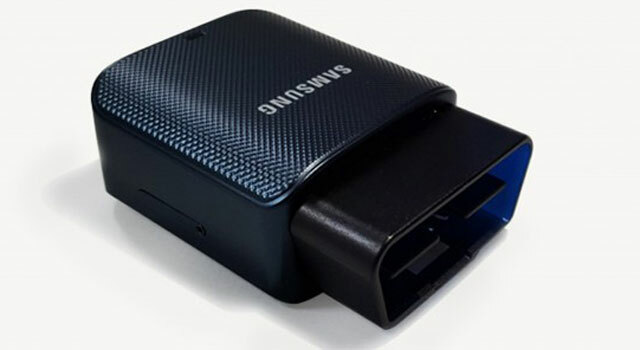 Samsung's Connect Auto is a definite outlier in this announcement: it's less of a smartphone accessory and more of a car accessory, turning any car into a connected car. This gadget plugs into your car's OBD-II port (usually located under the steering wheel) to talk to your car and syncs with your smartphone to talk to you. Connect Auto's flashiest feature is that it acts as a Wi-Fi hotspot, providing 4G LTE service to as many as 10 devices. This could be a lifesaver for road trip entertainment, but if you pick it up in hopes of streaming Netflix during a cross-country trek, bear in mind that it requires a data plan from AT&T (the device costs). That has the potential to make it a pricey road trip. However, it's the gadget's less flashy features that are more interesting, offering a lot of insight into your car and your driving. Connect Auto can give you vehicle health reports and let you know if anything's wrong with your car. It can tell you if your car has moved or if someone has unplugged the Connect Auto unit. It also collects data to give you a driver's scorecard, letting you know how safely you're driving based on how you accelerate and other car data. The combination of features makes Connected Auto an interesting gadget for both entertainment and safety. This wide range of gadgets offers a little something for everyone, from artists to gamers to fitness buffs. What out of this lineup are you picking up? I love Samsung Galaxy products. Have only been using them for 4-5 years now. And will continue to do so on my next upgrade. The only problem I can see is, the unremovable battery. Size is perfect but in my experience, phones tend to freeze up and removal of battery is required. Will we have to pay the cell phone company, to unfreeze the phone? Have not owned an iPhone yet. Not going to start anytime soon. Samsung Galaxy cell phones has never let me down. Stay with what works. That is absolutely missing the point, which is the overall longevity of the device for most users, not to mention that portable batteries need to be recharged as well, so taking a couple of extra batteries (which are about the same price or cheaper than most of the chargers) is a better option. Heard that Samsung Galaxy Note 7 Explosion case recently. Was is true ?